A great prop for use with many other coloring effects. The prop appears to be a regular artist's Palette, with six blobs of paint in different colors. 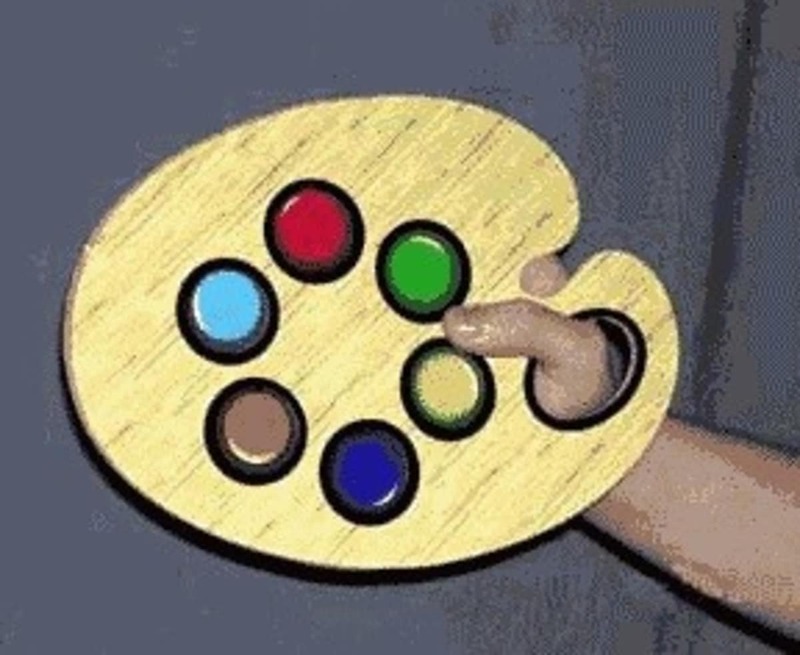 Just wave the Palette, and the colors vanish, leaving six empty spots in their place. You can also do this in reverse, having the colors appear in place of the empty spots. This prop works great with the magic coloring book!